ASLP works in interesting projects and innovative activities. 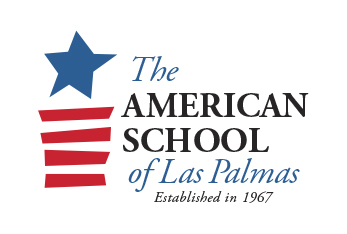 The American School of Las Palmas has participated in THIMUN (The Hague Model United Nations) since 1980. Over 3,000 students participate in this annual meeting of high school students in grades 9-12. THIMUN is the most prestigious conference of its kind, and participating students often go on to achieve further roles of leadership, both in high school and beyond. Having participated in THIMUN often results in special consideration on University Applications (particularly in the U.K and the U.S.A). The purpose of the after-school activity is to offer motivated students the opportunity to take an extra class which is not offered during the regularly scheduled school day. Students engage in meaningful debate, investigate independently as well as in groups and gain public speaking skills. The objective of this activity is for students to have a competitive level of preparation for THIMUN and any other MUN conferences that may arise. Our school is assigned a country or NGO to represent and each student becomes a delegate to the given Committee or Commission, in representation of the nation. Each student must prepare 4 policy statements, one resolution and an opening speech. MUN students also organize and participate in a local, off-campus mock MUN debate called Student Voices. This conference will take place on December 17 and 18 in the Plenso Assembly Hall in Agüimes. Students from 10th to 12th grade from ASLP will join students from the Lycée Francais. This activity helps to prepare the students for the January Meeting in The Hague. Students are encouraged to combine the MUN program with foreign language study and community service related to their issue. The selection for the program is rigorous and takes into consideration the following criteria: grade level, previous participation in the MUN activity, ability to meet deadlines, ability to work in a team, grade point average, public speaking skills, potential to grow and take initiative. Students are required to write a letter of motivation. Preparation for the program begins one-year ahead of THIMUN. For THIMUN 2016, the ASLP MUN program will represent the great nation of CUBA. A group of 12 students have been selected to participate this year. Our delegation will travel to the Hague at the end of January for the THIMUN debate. The group will also visit sites such as the Anne Frank House in Amsterdam, the Escher Museum in Den Hagg and other possible sites such as The Rijks, the Van Gogh Museum and Delft.